Some people may have vomiting and diarrhea, though this is more common in children than adults. *It’s important to note that not everyone with flu will have a fever.1. RestPlease remember that if you have a fever, you are contagious. Stay at home. Do not attend church or go to work. One, you do not want to pass on the flu to someone who has a low immune system. Children, the elderly, and cancer patients often have compromised immune systems.Your body needs much rest to repair itself and feel better. Often the flu comes around as a result of a lack of rest; that lack of rest lowers the immune system.2. Breathe some fresh air.While staying bundled up, open your windows in the main room where you are resting. 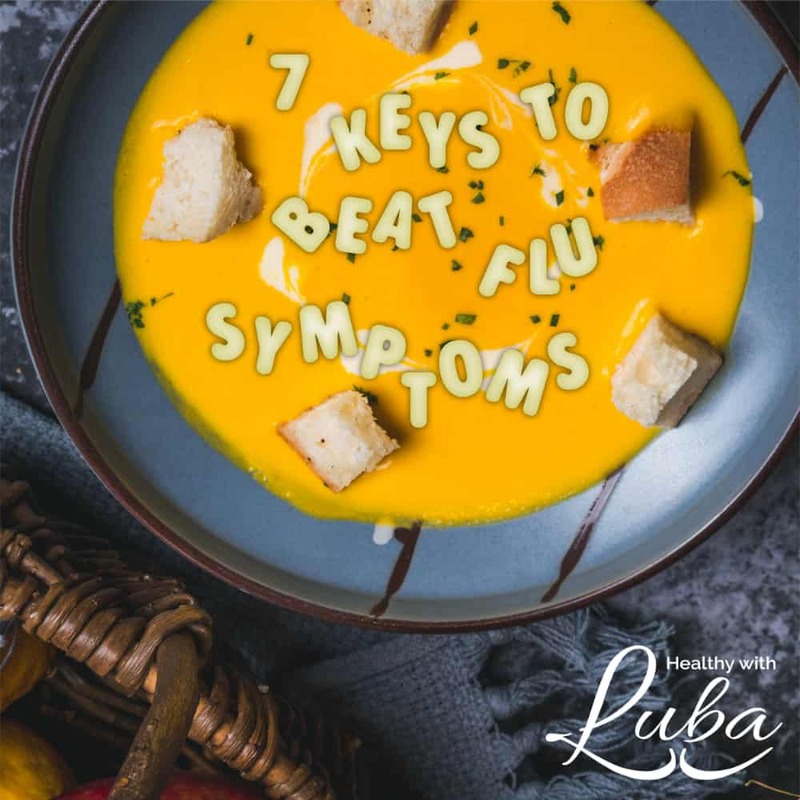 You may want to leave the room while you are airing it out to avoid worsening your symptoms.When you are recovering from the flu, you are staying inside where the air is full of germs and stuffy. It’s important to breathe cleaner air.If you have an air purifier, be sure to use it consistently as well.3. Drink herbal tea with honey. Honey can soothe your sore throat as well as your cough. Make sure to avoid grocery store honey (most of it is fake). In addition, make sure your tea is very warm, not boiling because very hot water destroys the healing properties of honey.Drinking this tea constantly during the day will help you recover4. Eat organic chicken soup.You will want to make some soup ahead of time and freeze it so that all you need to do it thaw it and heat it up when you are ill. If you are heading home with flu symtpoms, you can stop by a co-op for canned organic chicken soup. Some co-ops may have hot chicken soup available for purchase as well.Otherwise, you can cook the chicken with some vegetables in your crock pot or pressure cooker.5. Take multiple doses of probiotics.At least 60% of your immune system is in the gut. While our society views bacteria as bad, you need good bacteria for your immunity. Increasing the amount of good bacteria via use of probiotics is vital to recover quickly from the flu.6. Gargle with natural remedies.Gargle your sore throat with a mixture of salt (not table salt) and warm water multiple times per day.7. Avoid artificial fragrances.Fragrant candles and air fresheners will aggravate your respiratory system even more and may keep you ill for longer periods of time. If you want to learn how to make your home smell wonderful without any chemicals, go here.If you found value in this article, please share it on social media using the buttons to the left.if you find yourself battling the flu more often than you care to admit, let’s talk. I used to be ill for 2-3 weeks at a time. Now that I take better care of myself, the flu is gone within 24-48 hours. I would love to take time to listen to your story and your frustrations. You will probably find that I can relate to you quite a bit. Email me here now, and we will schedule a complimentary call with you.